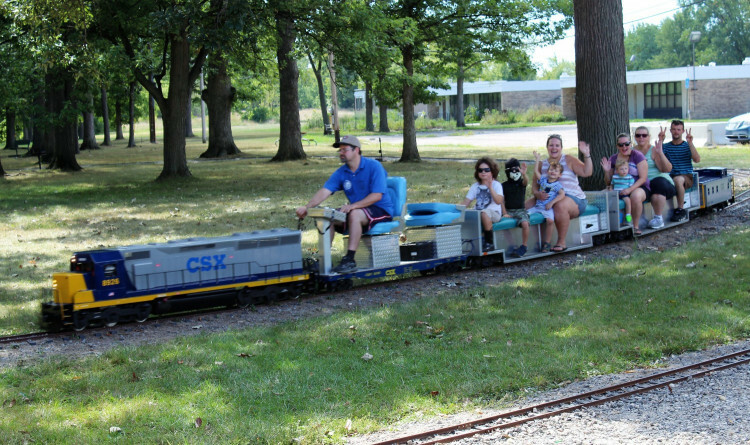 To check if trains are running, call 248-910-6432 after 11:30 a.m. on the scheduled run day. presented with the City of Southgate. December 6 - The Christmas ceremony starts at 5 pm with caroling as we wait for the arrival of Santa. 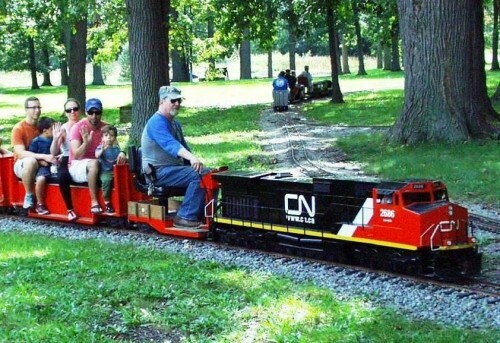 ​Followed by holiday speeches by city offices and then the train rides. December 7 - We will wait for the arrival of Santa ​and then the train rides. 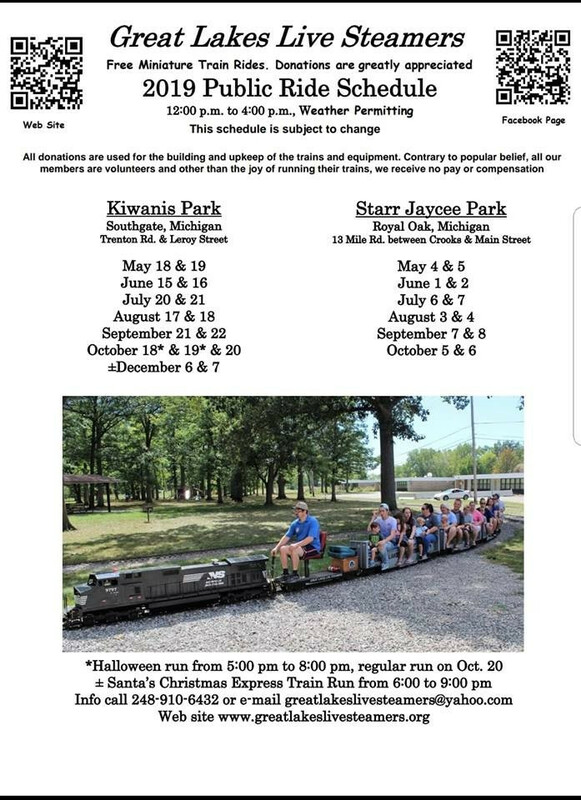 Ride the train and visit Santa from 6:00 p.m. to 9:00 p.m.
*October 18 & 19 - Halloween run from 5:00 pm to 8:00 pm, regular run on Oct. 20 from 12 pm to 4 pm. All Halloween decorations will have been removed. Due to park improvements at Kiwanis Park by the City of Southgate this year, we will not be offering Birthday or Special runs. We are sorry for any inconvenience and hope to offer them again next year. ​Please keep checking our web site and facebook page for any schedule changes due to conditions that are beyond our control.